8 For Research Use Only, Not for Use in Humans. 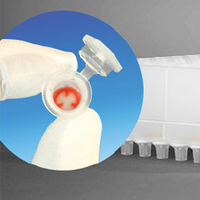 13 Use of the MSCV Retroviral Expression System is exclusively licensed from Robert G. Hawley, Ph.D. Academic research institutions are granted an automatic license with the purchase of this product to use the MSCV Retroviral Expression System only for internal, academic research purposes. This limitation expressly excludes the right to sell or otherwise transfer the MSCV system or its component parts to third parties. All other users and purchasers are required to obtain a license from Takara Bio USA, Inc. prior to purchasing these reagents or using them for any purpose. For information on licensing please contact a licensing representative by phone at 650.919.7320 or by e-mail at licensing@takarabio.com. 25 This product is covered by U.S. Patent No. 6,303,362. 28 This product is covered by the claims of U.S. Patent No. 7,575,860 and its foreign counterpart patent claims. 39 AcGFP is covered by U.S. Patent No. 7,432,053. 42 Use of the Tetracycline controllable expression systems (the "Tet Technology") is covered by a series of patents including U.S. Patent # 7541446, # 8383364, # 9181556 , European patents EP # 1200607, # 1954811, #2352833 and corresponding patent claims outside these regions which are proprietary to TET Systems GmbH & Co. KG. Academic research institutions are granted an automatic license with the purchase of this product to use the Tet Technology only for internal, academic research purposes, which license specifically excludes the right to sell, or otherwise transfer, the Tet Technology or its component parts to third parties. Notwithstanding the above, academic and not-for profit research institutions whose research using the Tet Technology is sponsored by for profit organizations, which shall receive ownership to any data and results stemming from the sponsored research, shall need a commercial license agreement from TET Systems in order to use the Tet Technology. In accepting this license, all users acknowledge that the Tet Technology is experimental in nature. TET Systems GmbH & Co. KG makes no warranties, express or implied or of any kind, and hereby disclaims any warranties, representations, or guarantees of any kind as to the Tet Technology, patents, or products. All others are invited to request a license from TET Systems GmbH & Co. KG prior to purchasing these reagents or using them for any purpose. Takara Bio USA, Inc. is required by its licensing agreement to submit a report of all purchasers of the Tet-controllable expression system to TET Systems. 45 S.V. Markova, S. Golz, L.A. Frank, B. Kalthof, and E.S. Vysotski (2004): Cloning and Expression of cDNA for a Luciferase from the marine copepod Metridia longa. J.Biol.Chem 279, 3212-3117. This product is covered by U.S. Patent No. 7,297,483. 47 Portions of this product are covered by several patent applications owned by, or licensed to, GE Healthcare Dharmacon Inc. The purchase of this product conveys to the buyer the limited, non-exclusive, non-transferable right (without the right to resell, repackage, or further sublicense) under these patent rights to perform the viral infection methods using the lentiviral vectors claimed in those patent applications for research purposes solely in conjunction with this product. No other license is granted to the buyer whether expressly, by implication, by estoppel or otherwise. In particular, the purchase of this product does not include nor carry any right or license to use, develop, or otherwise exploit this product commercially, and no other rights are conveyed to the buyer to use the product or components of the product for any other purposes, including without limitation, provision of services to a third party, generation of commercial databases, or clinical diagnostics or therapeutics. This product is sold pursuant to a license from GE Healthcare Dharmacon Inc, and GE Healthcare Dharmacon Inc., reserves all other rights under these patent rights. For information on purchasing a license to the patent rights for uses other than in conjunction with this product or to use this product for purposes other than research, please contact GE Healthcare Dharmacon Inc., LSlicensing @ge.com. 55 cPPT Element. This product and its use are the subject to one or more of the following U.S. Pat. Nos. 6,682,907, 7,981,671, 8,093,042, 8,367,068, 8,460,678, 8,512,994 and foreign equivalents. The purchase of this product conveys to the buyer the non-transferable right to use the purchased amount of the product and com­ponents of the product in research conducted by the buyer (whether the buyer is an academic or for-profit entity). The buyer cannot disclose information, sell or otherwise transfer this product, its components or materials made using this product or its components to a third party or otherwise use this product or its components or materials made using this product or its components for any com­mercial purposes. If the buyer is not willing to accept the limitations of this limited use statement, Takara Bio USA, Inc. is willing to accept return of the product with a full refund. For information on purchasing a license to the DNA-Flap technology for purposes other than research, contact the Transfer of Technology Office, Institut Pasteur, 28 rue du Docteur Roux, 75 724 Paris Cedex 15 (www.pasteur.fr). 57 This product is covered by U.S. Patent No. 8,173,792. 60 Use of the Antibody Array in combination with its associated buffers is covered under U.S. Patent No. 7,354,721. 83 The Living Colors mCherry Monoclonal Antibody has been obtained from National University of Shimane. 88 This product is sold under license from RIKEN and Tokyo Metropolitan Organization for Medical Research. This product is the subject of U.S. Patent No. 8,182,987 and its foreign counterparts. 89 This product is protected by U.S. Patent 9,945,850 and additional pending patent. For further license information, please contact a Takara Bio USA licensing representative by email at licensing@takarabio.com. 91 This product is intended for in vitro research purposes only. It may not be used for (i) any human or veterinary use, including without limitation therapeutic and prophylactic use, (ii) any clinical use, including without limitation diagnostic and prognostic use, (iii) screening of chemical and/or biological compounds for the identification of pharmaceutically active agents (including but not limited to screening of small molecules), target validation, preclinical testing services, or drug development or (iv) any commercial purposes, including without limitation the performance of contract research or provision of services to a third party and the manufacture of products for general sale. Any use of this product for any of the abovementioned purposes requires a license from the Massachusetts Institute of Technology. 223 This product sold under license from AdVec, Inc.
246 This product is protected by U.S. Patent 9,428,794, and additional pending US and foreign patents. For further license information, please contact a Takara Bio USA licensing representative by email at licensing@takarabio.com. Vectalys’ highly concentrated and purified lentiviral vectors and its use are covered by U.S. Patent No. 13/0029379 and WO 2013/014537. The purchase price of this product includes limited, nontransferable rights to use this product solely for internal research purposes. Academic and not-for-profit research institutions whose research using the Vectalys’ Technology or the product obtained by the Vectalys’ technology when sponsored by for profit organizations, which shall receive ownership to all data and results stemming from the sponsored research, shall need a commercial license agreement from Vectalys in order to use the Vectalys’ Technology or the product obtained by the Vectalys’ technology. Please contact Vectalys for information on purchasing a license to use these products for commercial purposes: Parc Technologique du Canal, Bâtiment Canal Biotech II, 3, rue des satellites, 31400 Toulouse (France), TEL: +33(0)5 61 28 70 75, EMAIL: sandy.darrigan@vectalys.com. This product including the Lentiviral Technology (based upon the lentikat™ system) is sold pursuant to a licensing arrangement between Vectalys and Life Technologies Corporation. The purchase price of this product includes limited, nontransferable rights under U.S. Patent Nos. 5,994,136 and 6,165,782 and their foreign equivalents, excluding, however, any patents or patent equivalents filed with contracting states to the European Patent Convention or any extension states thereof, to use the product for internal research purposes directed to target validation and cellular screening only. Use of this technology for gene therapy applications or bioprocessing other than for non-human research use requires a license from GBP IP, LLC. The purchase of this product conveys to the buyer the non-transferable right to use the product in internal research directed to target validation and cellular screening conducted by the buyer (whether the buyer is an academic or for-profit entity), including such applications in laboratory animals. The buyer cannot sell or otherwise transfer (a) this product (b) its components or (c) materials made using this product or its components to a third party or otherwise use this product or its components or materials made using this product or its components for Commercial Purposes. The buyer may transfer information or materials made through the use of this product to a scientific collaborator, provided that such transfer is not for any Commercial Purpose, and that such collaborator agrees in writing (a) not to transfer such materials to any third party, and (b) to use such transferred materials and/or information solely for research as set forth herein and not for Commercial Purposes. Commercial Purposes means any activity by a party for consideration and may include, but is not limited to: (1) use of this product or its components in manufacturing; (2) use of this product or its components to provide a service, information, or data; (3) use of this product or its components for therapeutic, diagnostic or prophylactic purposes; or (4) resale of this product or its components, whether or not such product or its components is resold for use in research. For information on purchasing a license to this product for purposes other than those permitted in this Label License, contact Out-Licensing, Life Technologies Corporation, 5791 Van Allen Way, Carlsbad, California 92008. Phone (760) 603-7200. Email: outlicensing@lifetech.com. 264 cPPT Element cPPT Element and its use are covered by one or more patents: FR9805197 and US 60/158387 and/or other pending foreign patent applications licensed to Vectalys. The purchase of this product conveys to the buyer the non-transferable right to use the purchased amount of the product and components of the product in research conducted by the buyer (whether the buyer is an academic or for-profit entity). The buyer cannot disclose information, sell or otherwise transfer this product, its components or materials made using this product or its components to a third party or otherwise use this product or its components or materials made using this product or its components for any commercial purposes. If the buyer is not willing to accept the limitations of this limited use statement, Vectalys is willing to accept return of the product with a full refund. For information on purchasing a license to the DNA-Flap technology for purposes other than research, contact the Transfer of Technology Office, Institut Pasteur, 28 rue du Docteur Roux, 75 724 Paris Cedex 15 (www.pasteur.fr). 268 cPPT Element cPPT Element and its use are covered by one or more patents: FR9805197 and US 60/158387 and/or other pending foreign patent applications licensed to Vectalys. The purchase of this product conveys to the buyer the non-transferable right to use the purchased amount of the product and components of the product in research conducted by the buyer (whether the buyer is an academic or for-profit entity). The buyer cannot disclose information, sell or otherwise transfer this product, its components or materials made using this product or its components to a third party or otherwise use this product or its components or materials made using this product or its components for any commercial purposes. If the buyer is not willing to accept the limitations of this limited use statement, Vectalys is willing to accept return of the product with a full refund. For information on purchasing a license to the DNA-Flap technology for purposes other than research, contact the Transfer of Technology Office, Institut Pasteur, 28 rue du Docteur Roux, 75 724 Paris Cedex 15 (www.pasteur.fr). 269 For Research Use Only. Not for diagnostics. Not for use in diagnostic procedures. Product is covered by patents and patent applications owned by Exiqon A/S. 270 This product is covered by U.S. Patent No. 9,410,173 and other pending patent applications in the United States and foreign jurisdictions. For further information, please contact a Takara Bio USA, Inc. licensing representative by e-mail at licensing@takarabio.com. 326 This product is protected by U.S. Patents 7,803,550; 8,071,312; 8,399,199; 8,728,737 and corresponding foreign patents. Additional patents are pending. For further license information, please contact a Takara Bio USA licensing representative by email at licensing@takarabio.com. 328 This product is protected by U.S. Patents 8,206,913 and corresponding foreign patents. Additional patents are pending. For further license information, please contact a Takara Bio USA licensing representative by email at licensing@takarabio.com. 329 This product is protected by one or more of these U.S. Patents 9,132,427, 9,909,171, 9,447,925 and/or corresponding foreign patents. Additional patents are pending. For further license information, please contact a Takara Bio USA licensing representative by email at licensing@takarabio.com. 343 This product is covered by a pending patent application under license by SomaGenics, Inc. For further license information, please contact a Takara Bio USA licensing representative by email at licensing@takarabio.com. 350 This product is protected by one or more of these U.S. Patents 7,622,296, 9,909,171, 9,132,427, 9,228,933 or 9,951,381, and corresponding foreign patents. Additional patents are pending. For further license information, please contact a Takara Bio USA licensing representative by email at licensing@takarabio.com. 352 LentiFlash Technology: This product is covered by the French pending patent application FR1554381 and the PCT application PCT/FR/051152. The purchase price of this product includes limited, nontransferable rights to use this product solely for internal research purposes. Please contact Vectalys for information on purchasing a license to use these products for commercial purposes: Parc Technologique du Canal, Bâtiment Canal Biotech II, 3, rue des satellites, 31400 Toulouse (France), TEL: +33(0)5 61 28 70 75, EMAIL: sandy.darrigan@vectalys.com. 353 LentiFlash Technology: This product is covered by the French pending patent application FR1554381 and the PCT application PCT/FR/051152. The purchase price of this product includes limited, nontransferable rights to use this product solely for internal research purposes. Please contact Vectalys for information on purchasing a license to use these products for commercial purposes: Parc Technologique du Canal, Bâtiment Canal Biotech II, 3, rue des satellites, 31400 Toulouse (France), TEL: +33(0)5 61 28 70 75, EMAIL: sandy.darrigan@vectalys.com. C004 This product is manufactured and sold by Takara Bio Europe AB based on a commercial license to certain intellectual property rights held by GE Healthcare UK Limited (“GE”). This product and its use are covered by one or more claims of U.S. Patent No. 9,074,181 and its foreign counterparts. The purchase of this product conveys to the buyer the non-transferable right to use the product for its intended use, strictly limited to purchaser’s own internal research. No other express or implied license is granted to the purchaser. Purchaser cannot have any right to use this product or its components in humans for any purposes including but not limited to diagnostics and/or therapeutics, or otherwise clinical trials. Purchase does not include any right to resell or transfer this product to a third party regardless of whether or not compensation is received. Purchasers wishing to use this product for purposes other than internal research use should contact us. C005 This product is manufactured and sold by Takara Bio Europe AB based on a license to Cellectis SA. The use of this product is strictly limited to purchaser’s own internal research, including basic research, drug discovery research up to and including IND-enabling preclinical toxicological studies or equivalents thereof, excluding any use in the T-cell field. Purchaser cannot have any right to use this product or its components in humans for any purposes including but not limited to diagnostics and/or therapeutics, or otherwise clinical trials. Purchase does not include any right to resell or transfer this product to a third party regardless of whether or not compensation is received. Purchasers wishing to use this product for purposes other than internal research use should contact us. No express or implied license is granted to the purchaser. C006 For Not-For-Profit Entities, the purchase of this product grants to the purchaser, a non-exclusive, non-transferable, non-sublicensable and limited license to use this product for internal, non-commercial, scientific research use only. The license specifically excludes the right to sell or otherwise transfer this product, its components or derivatives thereof to a third party, regardless of whether or not compensation is received. The license does not grant any right for the purchaser to use this product or its components in humans for any purposes including but not limited to diagnostics and/or therapeutics, or otherwise clinical trials. Purchasers wishing to use this product for purposes other than internal research use should contact us. No express or implied license is granted to the purchaser. For-Profit Entities wishing to use this product are required to obtain a license from Takara Bio Europe AB. For license information, please contact us by phone: +46 (0) 31 7580900 or e-mail: info-cellartis@takarabio.com. C008 This product is manufactured and sold by Takara Bio Europe AB based on a commercial license to certain intellectual property rights held by Wisconsin Alumni Research Foundation (“WARF”). This product is covered by one or more claims of patents owned by WARF, including U.S. Patent Nos. 7,514,260, 7,439,064, 7,005,252, 7,217,569, 7,029,913, 8,273,569, and their foreign counterparts. The use of this product is strictly limited to purchaser’s own internal research. Purchaser cannot have any right to use this product or its components in humans for any purposes including but not limited to diagnostics and/or therapeutics, or otherwise clinical trials. Purchase does not include any right to resell or transfer this product to a third party regardless of whether or not compensation is received. Purchasers wishing to use this product for purposes other than internal research use should contact us. No express or implied license is granted to the purchaser. C011 This service is performed by Takara Bio Europe AB based on a commercial license to certain intellectual property rights held by Wisconsin Alumni Research Foundation (“WARF”). The deliverables and their use are covered by one or more claims of patents owned by WARF, including U.S. Patent Nos. 7,514,260, 7,439,064, 7,005,252, 7,217,569, and their foreign counterparts. The purchase of this service conveys to the buyer the non-transferable right to use the deliverables for their intended use, strictly limited to purchaser’s own internal research. No other express or implied license is granted to the purchaser. Purchaser cannot have any right to use the deliverables or its components in humans for any purposes including but not limited to diagnostics and/or therapeutics, or otherwise clinical trials. Purchase does not include any right to resell or transfer the deliverables to a third party regardless of whether or not compensation is received. Purchasers wishing to use the deliverables for purposes other than internal research use should contact us. C013 This service is performed by Takara Bio Inc. and/or its affiliate(s) (“Takara”) under a license from ViaCyte Inc. (“ViaCyte”). This product is covered by one or more claims of patents owned by ViaCyte, including WO2005063971, WO2006017134, WO2006071911, WO2005116073 and WO2006016999, and their foreign counterparts. The use of the deliverables is strictly limited to purchaser's own internal research. Purchaser has no right to use the deliverables or their components in humans for any purposes including but not limited to diagnostics, therapeutics, or clinical trials. Purchaser has no right to resell or transfer the deliverables to a third party regardless of whether or not compensation is received. Purchasers wishing to use the deliverables for purposes other than internal research use should contact Takara. No express or implied license is granted to the purchaser. C015 This service is performed by Takara Bio Europe AB based on a commercial license to certain intellectual property rights held by Wisconsin Alumni Research Foundation (“WARF”). This product is covered by one or more claims of patents owned by WARF, including U.S. Patent Nos. 7,514,260, 7,439,064, 7,005,252, 7,217,569, 7,029,913, 8,273,569 and their foreign counterparts. The purchase of this service conveys to the buyer the non-transferable right to use the deliverables for their intended use, strictly limited to purchaser’s own internal research. No other express or implied license is granted to the purchaser. Purchaser cannot have any right to use the deliverables or its components in humans for any purposes including but not limited to diagnostics and/or therapeutics, or otherwise clinical trials. Purchase does not include any right to resell or transfer the deliverables to a third party regardless of whether or not compensation is received. Purchasers wishing to use the deliverables for purposes other than internal research use should contact us. C018 For Not-For-Profit Entities, the purchase of this product grants to the purchaser, a non-exclusive, non-transferable, non-sublicensable and limited license to use this product for internal, non-commercial, scientific research use only. The license specifically excludes the right to sell or otherwise transfer this product, its components or derivatives thereof to a third party, regardless of whether or not compensation is received. The license does not grant any right for the purchaser to use this product or its components in humans for any purposes including but not limited to diagnostics and/or therapeutics, or otherwise clinical trials. Purchasers wishing to use this product for purposes other than internal research use should contact us. No express or implied license is granted to the purchaser. For-Profit Entities in North America wishing to purchase this product are required to submit a completed copy of the Human ES Cell Line license agreement to us. For details please contact licensing@takarabio.com. K11 This product and its use are the subject of U.S. Pat. No. 6,682,907 and pending foreign patent applications licensed to Takara Bio USA. The purchase of this product conveys to the buyer the non-transferable right to use the purchased amount of the product and com­ponents of the product in research conducted by the buyer (whether the buyer is an academic or for-profit entity). The buyer cannot disclose information, sell or otherwise transfer this product, its components or materials made using this product or its components to a third party or otherwise use this product or its components or materials made using this product or its components for any com­mercial purposes. If the buyer is not willing to accept the limitations of this limited use statement, Takara Bio USA is willing to accept return of the product with a full refund. For information on purchasing a license to the DNA-Flap technology for purposes other than research, contact the Transfer of Technology Office, Institut Pasteur, 28 rue du Docteur Roux, 75 724 Paris Cedex 15 (www.pasteur.fr). K68 This product is covered by U.S. Patent No. 7,176,298. L4 This product is for measurement of amplification detection for research use only in life sciences research, industrial and environmental testing (including food industry, but excluding bio-terrorism and bio-warfare), non-human animal diagnostic testing, forensic testing and providing services to third parties who do not use the services for the purpose of (a) providing patient management or care, and in which the results of such services are not included in patient records and (b) providing bio-terrorism or bio-warfare testing; and specifically excluding, without limitation: (I) any human clinical, therapeutic or diagnostic uses and animal clinical and therapeutic uses (including any use of the results of any testing performed with any product for patient management or care, or the use of the results of the services for patient management or care) and (II) any research or services where the results of any test or assay are used for patient management, care or otherwise in making therapeutic or treatment decisions for a patient. A portion of this product is subject to proprietary rights of Epoch Biosciences, Inc. and are made and sold under license from Epoch Biosciences, Inc. under the patents and patent applications (US20020155484, WO0142505, WO02099141, US10/113,445, US09/876,830 and corresponding patents issued in other countries). There is no implied license for commercial use with respect to this product. A license must be obtained directly from Epoch Biosciences, Inc. with respect to any proposed commercial use of this product, and “commercial use” includes but is not limited to (A) the sale, lease, license or other transfer of this product or any material derived or produced from it, (B) the sale, lease, license or other grant of rights to use this product or any material derived or produced from it, and (C) the sale, lease, license or other transfer of kits which include this product. L13a This product is covered by the claims of U.S. Patent No.7,429,654 and their foreign counterpart patent claims, assigned to Rutgers, The State University of New Jersey. L13b This product is covered by the claims of U.S. Patent No.7,429,654 and their foreign counterpart patent claims, assigned to Rutgers, The State University of New Jersey. L19 This product is covered by the claims of U.S. Patent No. 7,429,654 and their foreign counterpart patent claims and pending patents, assigned to Rutgers, The State University of New Jersey. L20 This product is covered by the claims of U.S. Patent No. 8,183,011 and their foreign counterpart patent claims and pending patents, assigned to Rutgers, The State University of New Jersey. L21 This product is covered by the claims of U.S. Patent No. 6,451,595 and their foreign counterpart patent claims. L23 This product is covered by the claims of U.S. Patent No. 6,852,833 and its foreign counterpart patent claims. This product is manufactured and sold by Takara Bio Inc. under licenses from National Agriculture and Food Research Organization and EZAKI GLICO CO., LTD.
L31 This product is the subject of U.S. Patent No. 8,216,833 and its foreign counterparts. L33 This product is covered by the claims of U.S. Patent No. 7,326,779 and its foreign counterpart patent claims. L34 This product is covered by the claims of U.S. Patent No. 7,264,959 and its foreign counterpart patent claims. L39 1. Brevibacillus Expression System-related products were developed and manufactured by Higeta Shoyu Co., Ltd. and sold by TAKARA BIO INC.
L42 This product is sold by Takara Bio Inc. under license from Fuso Pharmaceutical Industries, Ltd. and Osaka Prefecture University. This product is covered by the claims of U.S. patent 7,563,594 and its foreign counterparts. L44 This product is covered by one or more claims of the issued patents and pending patent applications: U.S. Patent Nos. 8,048,999, 8,058,065, 8,129,187, 8,211,697, 8,257,941, 8,278,104, 8,530,238, 8,900,871, 8,927,277, 8,951,801, 9,213,999, 9,404,124, 9,499,797, 9,677,141 and 9,714,433, and foreign counterparts thereof, including their divisions, continuations, extensions, substitutions, and those claiming priority therefrom or those claiming the same priorities therein. L47 The purchase of this product includes a limited, non-transferable license for all fields other than human or veterinary in vitro diagnostics under specific claims of U.S. Patent Nos. 6,303,305 and 6,503,720 owned by the University of Utah Research Foundation and licensed to Idaho Technology, Inc. and Roche Diagnostics GmbH. L58 The Products are manufactured and patented by Cyanagen s.r.l and protected by US7803573; EP1962095; US7855287; EP1950207; CA2742025; EP2405016 and foreign equivalents and other pending patents. L62 This product is covered by one or more claims of the issued patents and pending patent applications: U.S. Patent Nos. 8,048,999, 8,058,065, 8,129,187, 8,211,697, 8,257,941, 8,278,104, 8,530,238, 8,900,871, 8,927,277, 8,951,801, 9,213,999, 9,404,124, 9,499,797, 9,677,141 and 9,714,433, and foreign counterparts thereof, including their divisions, continuations, extensions, substitutions, and those claiming priority therefrom or those claiming the same priorities therein. This custom service is provided by Takara Bio Inc. based on a patent license from iPS Academia Japan, Inc. The use of iPSCs produced by this service (hereinafter referred to as the "custom iPSCs") is strictly limited to customer’s own internal research. Customer cannot have any right to use the custom iPSCs in humans for any purposes including but not limited to diagnostics and/or therapeutics, or otherwise clinical trials. There is no right to resell or transfer the custom iPSCs to a third party regardless of whether or not compensation is received. 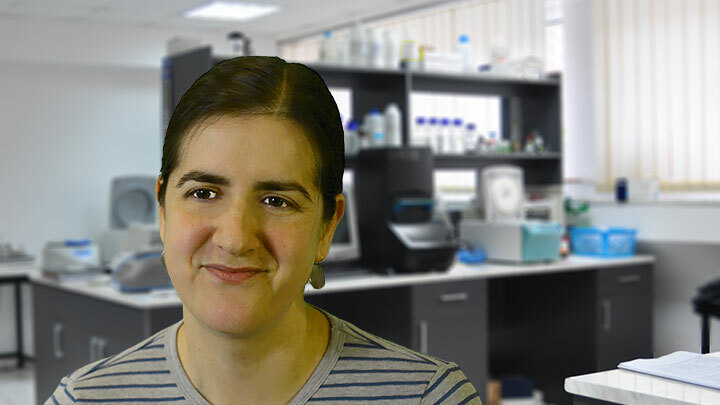 Customers wishing to use the custom iPSCs for purposes other than internal research use should contact us. No express or implied license is granted to the customer. Any use of the custom iPSCs for Commercial Purposes requires a patent license from iPS Academia Japan, Inc. "Commercial Purposes" means at least one of following activities including the use of custom iPSCs: 1) Use for manufacture of related products for sale including but not limited to culture medium or equipment, 2) Use in order to provide a service to a third party (including use of the differentiated cells from the custom iPSCs), 3) Use for screening compounds, antibodies, proteins, peptides and others in developing pharmaceuticals (including diagnostic agents) for human and/or animal use (including use of the differentiated cells from the custom iPSCs)*, and 4) Transfer to a third party (including transfer of the differentiated cells from the custom iPSCs). *A patent license to use the custom iPSCs and the use of the differentiated cells from the custom iPSCs for screening compounds may also be granted from Takara Bio Inc.
L67 This product is covered by one or more claims of the issued patents and pending patent applications: U.S. Patent Nos. 8,048,999, 8,058,065, 8,129,187, 8,211,697, 8,257,941, 8,278,104, 8,530,238, 8,900,871, 8,927,277, 8,951,801, 9,213,999, 9,404,124, 9,499,797, 9,677,141 and 9,714,433, and foreign counterparts thereof, including their divisions, continuations, extensions, substitutions, and those claiming priority therefrom or those claiming the same priorities therein. This Product is manufactured and sold by Takara Bio Inc. and/or its affiliate(s) based on a patent license from iPS Academia Japan, Inc. No express or implied license is granted to the purchaser. "Product" means the differentiated cells manufactured and sold by Takara Bio Inc.
L69 This product is covered by one or more claims of the issued patents and pending patent applications: U.S. Patent Nos. 8,048,999, 8,058,065, 8,129,187, 8,211,697, 8,257,941, 8,278,104, 8,530,238, 8,900,871, 8,927,277, 8,951,801, 9,213,999, 9,404,124, 9,499,797, 9,677,141 and 9,714,433 and foreign counterparts thereof, including their divisions, continuations, extensions, substitutions, and those claiming priority therefrom or those claiming the same priorities therein. L71 This service is performed by Takara Bio Inc. and/or its affiliate(s) based on a commercial license to certain intellectual property rights held by ID Pharma Co.,Ltd. The deliverables and their use are covered by one or more claims of patents owned by ID Pharma, including PCT/JP96/03068, PCT/JP96/03069, PCT/JP00/03195, PCT/JP2009/062911, PCT/JP2011/069588 and PCT/JP2014/75248 and their foreign counterparts. The purchase of this service conveys to the buyer the non-transferable right to use the deliverables for their intended use, strictly limited to purchaser’s own internal research. No other express or implied license is granted to the purchaser. Purchaser cannot have any right to use the deliverables or its components in humans for any purposes including but not limited to diagnostics and/or therapeutics, or otherwise clinical trials. Purchase does not include any right to resell or transfer the deliverables to a third party regardless of whether or not compensation is received. Purchase does not include any right to provide Contract Manufacturing Service with the use of the deliverables to a third party, unless a license is negotiated with ID Pharma Co., Ltd. Purchasers wishing to use the deliverables for purposes other than internal research use should contact us. M5 This product is covered by the claims of U.S. Patent No. 8,034,597 and its foreign counterpart patent claims. M69 This product is covered by the claims of Japanese Patent No. 4406566 and its foreign counterpart patent claims. M69a Before purchasing this product, you must submit a completed copy of the RetroNectin® (GMP) Ordering Sheet to us. M69b Before purchasing this product, you must submit a completed copy of the Anti-CD3 mAb (GMP) Order Check Sheet to us. M76 This product is covered by the claims of Japanese Patent No. 5280916. This product is the subject of the claims of US Patent No. 9200314. M85 This product is the subject of the pending JP patent application. M86 This product is covered by the claims of U.S. Patent No. 9,850,498 and its foreign counterpart patent claims. Orders may be placed in the normal manner by contacting your local representative or Takara Customer Service. Any and all uses of this product will be subject to Purchaser's Agreement to the Terms and Conditions of Sale (hereinafter "DOCUMENT"), a copy of which can be found below. As a condition of sale of this product to you, and prior to using this product, you must agree to the provisions described in the DOCUMENT. 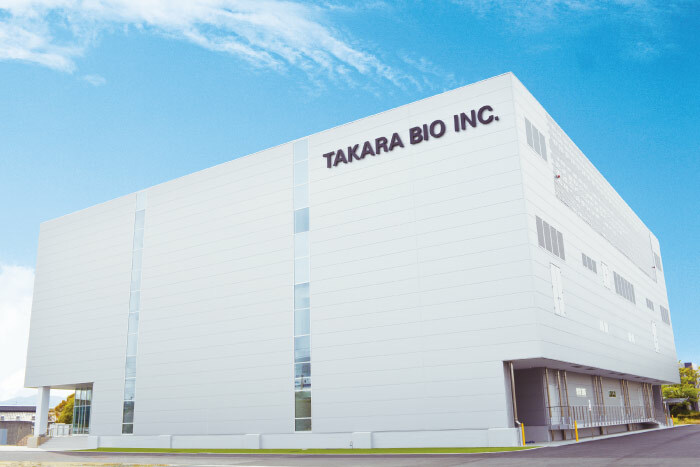 Use of this product other than granted in the DOCUMENT requires a different license from Takara Bio Inc. For license information, please contact a licensing representative by e-mail at bio-licensing@takara-bio.co.jp. M87 This product is the subject of the pending JP patent application and its foreign counterparts.